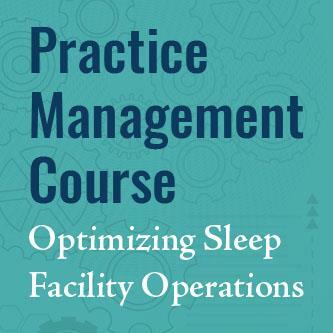 This course provides physicians and their teams with up-to-date information on sleep facility optimization and management, leading to more effective and efficient patient care. From coding and compliance solutions, to quality assurance strategies, as well as examining the ever-evolving legal and regulatory policies, this course provides the tools needed to implement sleep facility best practices. Maximize your facility’s operations using tips and practical advice from expert sleep medicine practitioners, as well as from AASM accreditation site visitors.